Kamalii was being sought for violating terms of release on bail in a terroristic threatening case. He was also wanted for reckless endangering and for questioning in connection with vehicle break-ins and thefts of vehicles. A tip from the public led a joint task force consisting of officers from the Hawaiʻi Police Department and sheriff’s deputies from the Department of Public Safety to a home on Pilipaʻa Street in the Panaʻewa area of Hilo on Monday morning (January 26). Kamalii fled on foot and was arrested a short time later on Kīlauea Avenue approximately a quarter-mile away from the house. Police arrested and charged him on a no-bail warrant for violating terms of release on bail. In addition, he was arrested on suspicion of reckless endangering, three counts of reckless driving, three counts of resisting an order to stop and two counts of unauthorized control of a propelled vehicle. 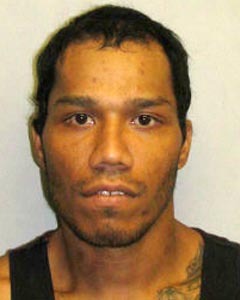 He was taken to the Hilo police cellblock while police continue the investigation into those offenses. Three other men at the house also were arrested. Alfred Keahilihau, 42, of Hilo was arrested and charged on a bench warrant for contempt of court. He was released after posting $300 bail. 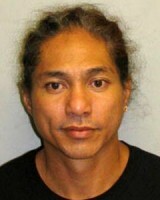 Alston Maluo, 40, of Hilo was arrested and charged on a no-bail bench warrant for violating terms of supervised release. He was taken to Circuit Court later Monday. 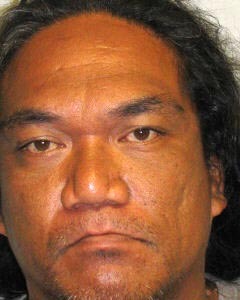 Keola Akui, 32, of Hilo was arrested on suspicion assault. He remains at the cellblock pending further investigation.